When a dispute needs to go to trial, or a trial needs to be appealed, it is wise to hire an attorney who is not only skilled and professional, but one who also is accessible and can understand where you’re coming from. 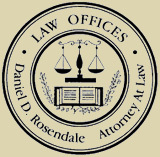 Daniel D. Rosendale, Centreville litigation and appeals lawyer and founding attorney of Maryland’s Law Offices of Daniel D. Rosendale, went to law school later in life than most attorneys. He has vast real-world experience, which makes it easier to relate to our clients. We make sure we are accessible to you throughout the representation. Most issues that come up for people can be handled through simple dialog and agreement. But in many cases, the dispute cannot be settled and needs to be taken to court. A lawsuit is filed and the parties have to litigate the issue before a judge or jury. If you have been part of a trial that did not end favorably for you, there might be a chance of getting the case reversed or remanded on appeal. 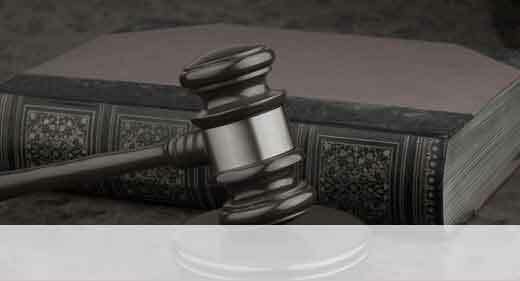 Whether we handled the initial trial or you were represented by another attorney, we can take your case on appeal. If you would like to get a better idea about whether or not you have a good case for appeal, you can contact us for a free initial consultation. We will discuss your case with you and give you a realistic, honest assessment of whether or not you might have a good case.